Estonian MEP Indrek Tarand has been giving hints that he might be returning to domestic Estonian politics. He recently sat down with ERR's Toomas Sildam, who asked him if he was coming 'out of the political closet' and, in a wide-ranging interview, gave his thoughts on topics including the situation in Europe regarding the workings of the European Commission and Parliament, the political landscape in Estonia, the forthcoming general election there and his ambitions for the future. He pointed out that far from emerging from any political closet/cupboard/refrigerator etc., he had never been in there in the first place! In this truncated version of the interview, we start with his reported admiration for French President Emmanuel Macron, seeing the latter as being a breath of fresh air given his understanding of the people and the apparent brokenness of the party system. ''The precedent of having a politician like that has been set in a large European country. And we already have something like that in Estonia with Eesti200 [a grassroots political movement aimed at discussing the long-term and deeper trends of Estonian culture and society – ed.]. However, Mr. Tarand said, there were none on the horizon in Estonia who even half-matched some sort of 'Macronian' ideal, with all the presence of mind and hard nerve that would require, in his view, and a hesitancy amongst the Eesti200 movement and other areas would mean the 'party-ocracy' as he calls it, would leave them out in the cold. 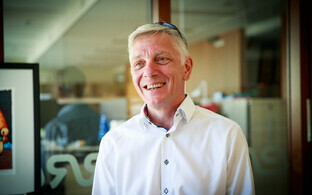 Mr. Tarand also revealed that he keeps social media at arms' length, and may even leave Facebook. 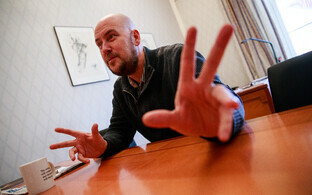 ''II look at my brother [journalist Kaarel Tarand – ed. ], who isn't on Facebook and see how he has time to read books and scientific articles while I am joking or sharing pictures on Facebook. I don't deny that social media offers a great opportunity to share real information, but material of that quality remains in the minority,'' he said. When quizzed about his apparent pledge to quit Facebook altogether on the issue of the Cambridge Analytica personal data harvesting [Cambridge Analytica was a political consultancy firm banned from advertizing on Facebook following revelations about its reported business practices – ed. ], Mr. Tarand stated that he probably would need to keep his word. He would in this way be following the example of Estonian musician Jaagup Kreem, who already quit the social media giant on the issue and felt that bodies like Cambridge Analytica had no ability to manipulate things in favour of a few 'unpleasant' politicians. When asked how the political landscape today differs from back in 2009 when he entered the European Parliament for the first time, Mr. Tarand stated that whilst his election to the European Parliament was against a backdrop of economic crisis, which according to Tartu University`s researcher Katre Väli meant that Mr. Tarand was able to present himself as some sort of saviour from said crisis, there were positives both then and now. In Estonia at the time the law was changed from closed electoral lists to open lists, something which Mr. Tarand believes he contributed to (he ran as an independent candidate in the European elections). Today, he sees elections both in Estonia and the EU as being a way to resolve issues adequately, even in the case of the European elections (where there are actually two elections to be held in March and May of next year). ''It is a very interesting problem to analyze economically - why is one coffee machine 100 times more expensive than another?'' he opined, adding that he is far more efficient MEP than anyone else elected from Estonia according to the MEPranking.eu analytical website. 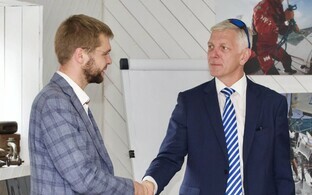 On being asked his views on the upcoming Estonian general election in 2019, Mr. Tarand noted that there is a clear distinction between those running as individuals from a particular party ('erakondlane' in Estonian), and those who fulfill rather more the function of an apparatchik, a party functionary, ('Parteilane' in Estonian, which actually translates as 'collaborator'). The latter he naturally sees as something of a loaded term, but nonetheless there remains that hangover from the Soviet system. ''In all parties, even the Estonian Conservative People's Party (EKRE) there are those who, due to reasons of education experience and character can be more than mere party foot soldiers,'' he said. ''Unfortunately, though, something of a similar system to what we had in the Estonian SSR, with pioneers, youth organizations, the carrying of banners that will one day ensure you become a minister etc., is still with us,'' he went on. ''Such a system favours the rise of mediocrity and we let that happen to the detriment of the more capable,'' Mr. Tarand went on. Of his own plans for the future, Mr. Tarand remained tight-lipped on whether he would definitely return to the European Parliament in 2019. He reiterated his line as reported by ERR that it depends partly on what happens with President of the EU Commission Jean Claude Juncker's plan to have EU commissioners chosen from deputies of the European Parliament, rather than directly from the EU member states. ''If this does go ahead, then I am certainly ready to be there at home creating a competitive and thorny environment for any domestic Estonian government,'' he went on. But in general Mr. Tarand pointed out that he had gone about as far as he could in the European Parliament: ''I have spent almost 20% of my life in the European Parliament, coming up to ten years, and have done everything I can to represent the country there,'' he explained. Of possible allies in the domestic Estonian political scene, an obvious choice would be the Greens, the party which he became allied to in the European parliament after the 2009 election, but there are no Greens currently holding seats in the Estonian Parliament (Riigikogu). ''It would please me if the Greens could get into the Riigikogu, though I wouldn't go as far as to predict that the Estonian Greens are as ready to partake in Government as they are in other parts of Europe, yet.'' Tarand said. ''The Green Party in Europe has treated me very well, even though I do not agree with all of their platform,'' he went on. ''For instance I have a different view on national defence – for most Greens weapons are something 'satanic'. But they accept that and haven't shown me the door,'' Tarand explained. The other party which Tarand has had links with, one which does have a few seats in the Riigikogu, is the Free Party (Vabaerakond), a party which has just seen a change in leadership with Artur Talvik stepping down and Andres Herkel being chosen as his successor. Indeed Tarand's election slogan for the European Parliament had been 'vote for a free person' ('Vali vaba inimene!' in Estonian). So what did Mr. Tarand think of the Free Party and its leadership? ''We do have a similar message, it's true,'' said Tarand. ''I remember when the forerunner of the Free Party was first formed, and which I was involved in, 'Citizen of the Fatherland', an organization which split into the Free Party and the remainder, including myself, in another faction,'' he recounted. ''The Free Party's attitude was attractive to me, not least that they did not have some little red book tucked in their pocket or a hierarchy which they had to pledge an undying loyalty to,'' he explained. 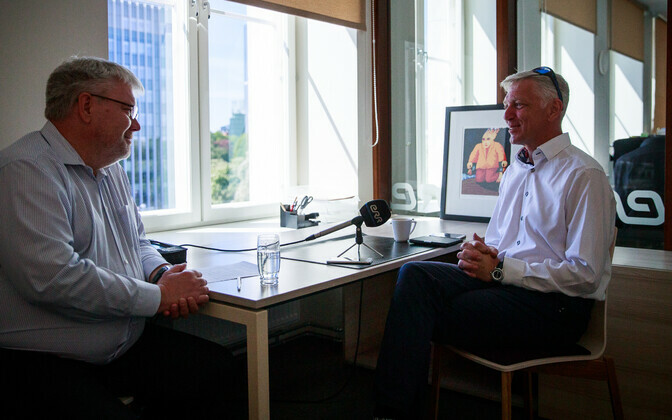 Regarding his close relationship with Artur Talvik, who had previously seen a ministerial role for Tarand in the party, he stressed that the two have known each other for a long time and have been active, first not so seriously, then latterly with more focus, since the late 1970s. ''I have a high degree of confidence in Artur's ability, but the fact that he didn't choose to re-run for the leadership of the party is a puzzler. There are natural winners and losers in a democracy of course, but if we don't have alternative choices for the second and third etc. places, we can't talk about a full-blown democracy,'' he continued. Mr. Tarand's relationship with the new Free Party leader, Andres Herkel, runs similarly deep. ''We were both on the Estonian Committee [a national body involved in the run up to Estonian independence – ed.] 30 years ago,'' he said. ''I've been following his political career with interest, and we last met a few weeks ago by chance in the street. Whilst we didn't go into detail, we found some common ground,'' Mr. Tarand went on. But what was most clear to him was that the Free Party needs more seats to have more of a national voice, and can't get by just hovering slightly above the five per cent threshold (necessary to get any seats at the Riigikogu) with the eight seats it currently has. ''Half a dozen or so seats may help to enrich the democratic process, but at the end of the day if you want any political clout you need around 35 seats,'' Tarand averred. 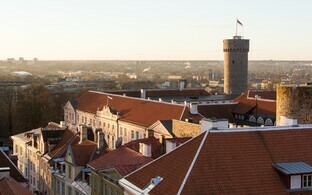 Looking ahead to the 2019 Riigikogu elections, Tarand stated that current Estonian Prime Minister Jüri Ratas was being hampered by the legal issues dogging his party, the Centre Party (Keskerakond), whose former leader Edgar Savisaar has been the subject of a court case concerning corruption since last year, as well as controversies surrounding prominent member Yana Toom, including her recent visits to Syria when she met with President Assad. One of the main challengers to the Centre Party is the Reform Party (Reformierakond) who also have a new, young leader in Kaja Kallas. Tarand however doesn't see much evidence of a strong desire to be a leader coming from Ms. Kallas. "It looks like she is a leader against her will," he stated. Regarding the junior members of the coalition government, the Social Democrats (SDE) and IRL, Tarand sees these as having problems which go all the way back to their roots. ''Obviously it was a mistake to take on something as big as Res Publica,' Tarand said. IRL was actually made up of a merger of 'Fatherland' (Isamaa) which was primarily an anti-communist, anti-occupation movement according to Tarand, and the much larger Res Publica Party. ''I understand party-pragmatic considerations, like money and other issues, but that was a mistake,'' he stated. ''Making any cosmetic change by removing the Latin part [Res Publica] from the name will make no difference. The 'market' does not believe that anything changes,'' Tarand went on, referring to the fact that IRL has rebranded itself as simply 'Fatherland' ('Isamaa' in Estonian). As regards SDE the party that Tarand's own father, Andres, once represented as an MEP, it has nowhere to go either, and has accomplished its mission, he says. ''We do not have hundreds of thousands of car workers or miners who ... with the support of social democrats, are fighting for their rights and guarantees. These fights have been fought already,'' he explained. On the subject of EKRE, Tarand stated that whilst the Helme family (Mart Helme is EKRE leader with his son Martin playing a prominent role) have been significant figures in the Estonian political scene, there is also the aspect of the party which can be found in many countries including the US, namely that of the 'angry older white man' looking for scapegoats in the form of Soros-ites, 'Tolerance'-pushers, Liberals etc. and that EKRE with seven Riigikogu seats have a niche as an outlet for this pressure. And so to the 'elephant in the room', is it time to 'come out of the political closet'? Ultimately Tarand stopped short of answering Toomas Sildam's question as to whether he was 'coming back to an Estonian domestic political career, echoing what he had said previously about needing to wait until Autumn. ''Firstly, I do not like the phrase 'out of the closet', it has a different meaning, and I have never actually been in the political closet in the first place,'' he said. ''But seriously, the right time could be in the early autumn, by which time all the work should be done and we'll have a clearer picture,'' he concluded. 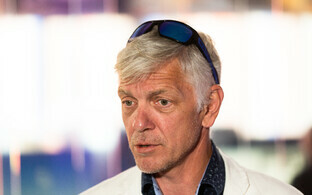 Indrek Tarand has been an MEP since being elected with over 100,000 votes as an independent in 2009. He ran against Toomas-Hendrik Ilves in the 2011 Presidential elections, receiving 25 Riigikogu votes to Ilves' 73. The full text of the interview (in Estonian) is here.